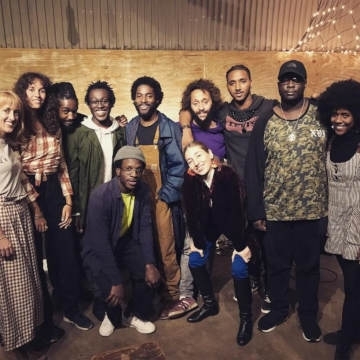 Artist collective Steam Down are a music community based in Deptford, South-East London. Every performance is a co-creative experience between musicians and audience where everyone's participation matters. Creating an immersive experience that is complimented by the exuberant energy of the Steam Down family who show up regularly to bring vibes and and get down. Together, They journey on an aural exploration of past-present-future. Presently the collective are working on a compilation album and a series of individual projects to be released over the coming year. 2018 will see this pioneering collective of vibrant artist broadcast their South London sound to the wider music world.